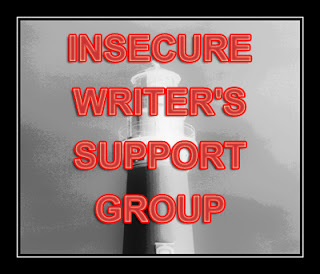 As a writer, what am I insecure about this month? To be honest, I've been insecure about this particular thing since...well, since I signed on. My question is: what is the truth regarding Twitter? Oh, I'm there. Want to find me (and follow? Click on my right-hand sidebar). When I first appeared on the web and learned about "tweeting", I joined. But I want to know why? Why is it good? Why do folks rave about it? What is so darned attractive about Twitter? I'll be frank. I don't read Twitter. I mean, I'm not glued in my chair for hours on end with glazed over eyes watching the tweets roll by. For one thing - I'm a writer. That means I write words. I type "are", but Twitter says "R". I type "you", but Twitter says "U". I type "I don't know", but Twitter says "idk". (And that "i" should always be capitalized). And what's the deal about 140 characters? This blog post so far -and I'm not finished- is more than 140 characters. Authors have said Twitter is a wonderful marketing/promotional tool. ? I'm asking for help. I don't want this to sound like a rant, it isn't meant to be. I simply don't understand the benefits of Twitter. I like Twitter because I follow a bunch of people who tweet cool links to blog posts and other articles I enjoy. I've learned a lot about the craft of writing and the business side of publication from it. But I don't write a lot myself. As Donna said, if it doesn't work for you, that's okay. There are many other platforms or ways to spend that time. I can relate to this post! I am on Twitter - just! I signed up recently but think I've only posted 3 times. Maybe one day I'll get into it but at the moment it isn't working for me. I'd love to learn the "business side" of Twitter! How does one do that??? lol - I still haven't figured out twitter very well. I'm not sure you really have to do anything special, other than follow people and make a new tweet from time to time. HA! Sorry it took me so long to get back to you... life is chaos at the moment, but I'm so glad you dropped by and followed. As for Twitter, here's the thing... you can follow what's going on if you have ADHS or take crack. That's my theory. I have a friend who made friends with editors and found calls for submissions there, so became a legitimate published author through it... did I mention the ADHD? She is the perfect spaz for the site. I can't do it. I DO think use can be made of the chats--I tend to watch for those announcements on Facebook. Erm. Said the Spider to the Fly, a GoodReads Giveaway!